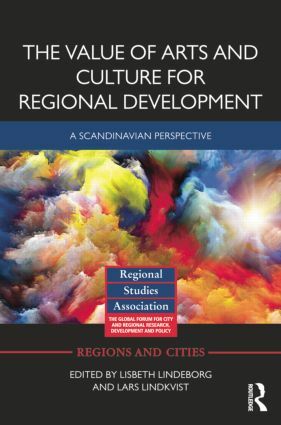 In this new volume, 28 Scandinavian researchers and others who are active in arts and culture seek to answer the questions: What has been the effect of regional and local investment in arts and culture? And what positive and negative experiences have there been? This book describes and analyzes the extent to which cultural investments at local and regional levels have stimulated development and led to essential processes of change for the community in general. Of special interest is how different places manage to "turn the tide". What do their development processes involve? Which ways and means do they use to go forward in order to change their paths and start anew? These are just a few of the important questions addressed in this book. One of the most important findings is that while you can never transfer the successful renewal of one place to another like a blueprint, certain common patterns in the cultural processes are discernible. The contributors to this book show the breadth of theoretical tools that can be used to increase awareness of the significance of culture for regional development. Throughout the book readers will find a multitude of theoretical concepts, from entrepreneurship theory, organizational institutionalism and cultural economy, to cultural planning and art management. This book will appeal to scholars and practitioners of urban and regional studies, and cultural and creative economics. Lisbeth Lindeborg is Guest Professor at Linnæus University, Sweden. She has published extensively on regional and cultural development, regional co-operation, regional organizations and the arts. Lars Lindkvist is Professor in Business Administration, Organisation and Leadership at Linnæus University, Sweden, and is also Adjunct Professor at Copenhagen Business School, Denmark. He has published more than 50 books and scientific articles, mainly about social economy, self management and leadership in public and non-profit organizations, and cultural and creative industries.